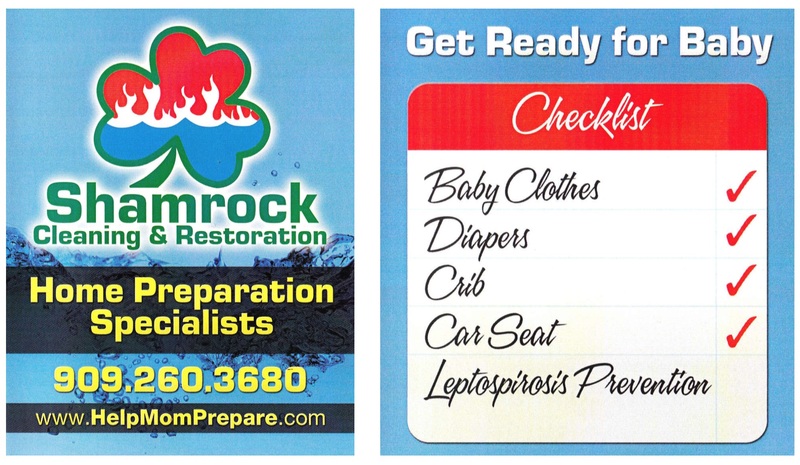 Shamrock Restore > Carpet Cleaning > Help Mom Prepare! SILVER: Best for new stains – Steam clean the carpet using a cleaning agent specially formulated to treat urine This can only be done on the most freshly stained spots. Its also the least expensive option. Generally it can be done for the minimum call out fee. Gold: When the urine is more copious – The odor will not go away without cleaning the pad. We perform a sub-surface cleaning. We drench the area with a special urine treatment and extract the special urine treatment and the previously trapped urine out of the carpet and the pad. Then the area is steam cleaned and a fan is placed to dry it quickly and prevent re-soiling. Platinum: When all else fails – If we cannot get the odor out it is time for massive action. We replace the compromised parts. We pull back the carpet, cut out the old pad, and remove the tack strip. Then we seal the concrete or wood using a sealing paint. We tent the area and install a Hydroxyl Generator to eliminate the odor. We replace the tack strip and the pad, steam clean the carpet backing and reinstall the carpet. We then give the top side a good cleaning. 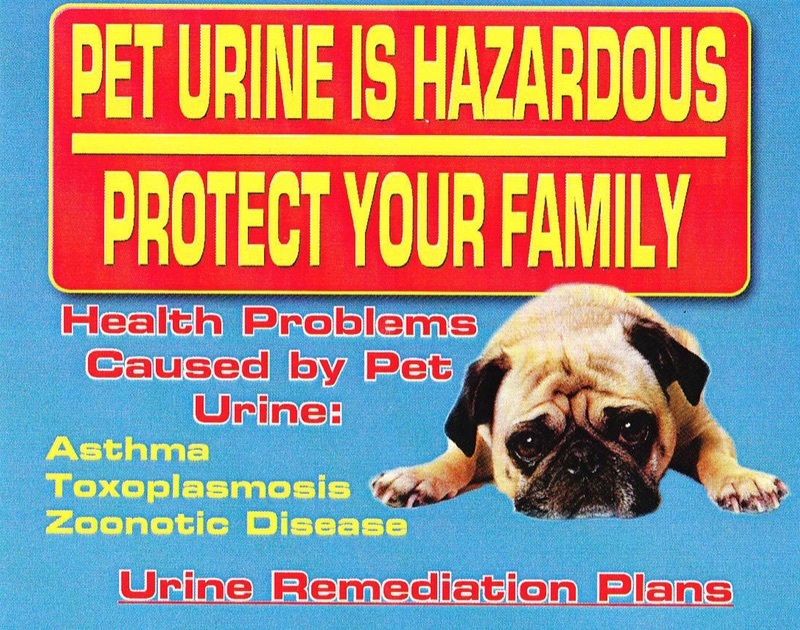 We’re confident that one of our plans is the perfect solution for your pet urine problem. 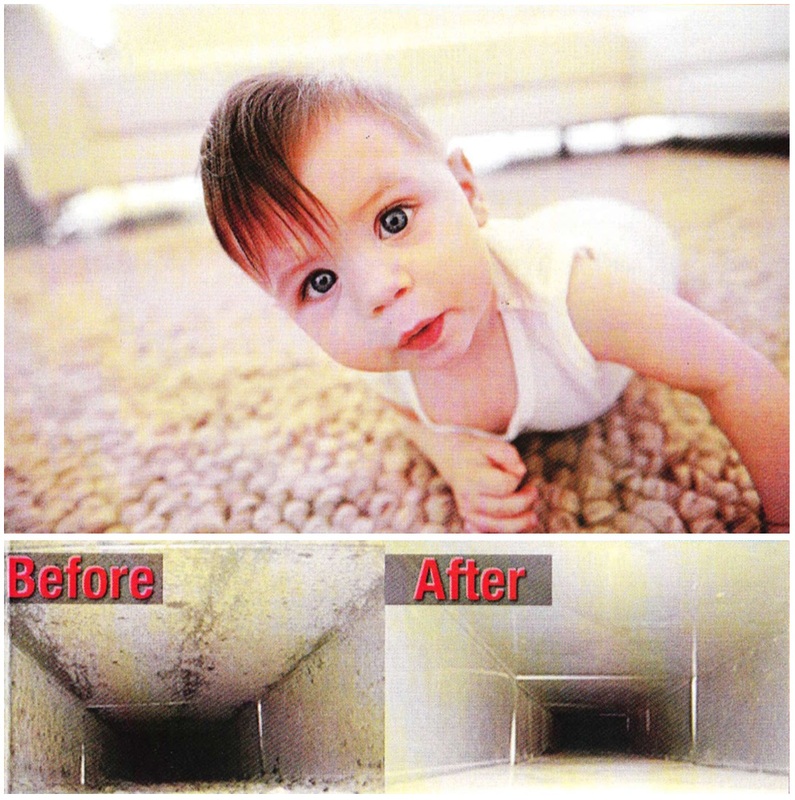 According to the EPA (Environmental Protection Agency) indoor air is 2-5 times more polluted than outdoor air. Indoor air pollutants have been ranked in the top 5 environmental risks to public health. Dust mites dwell in mattresses, carpets, upholstery and air ducts. Dust mites are associated with allergic rhinitis and asthma. 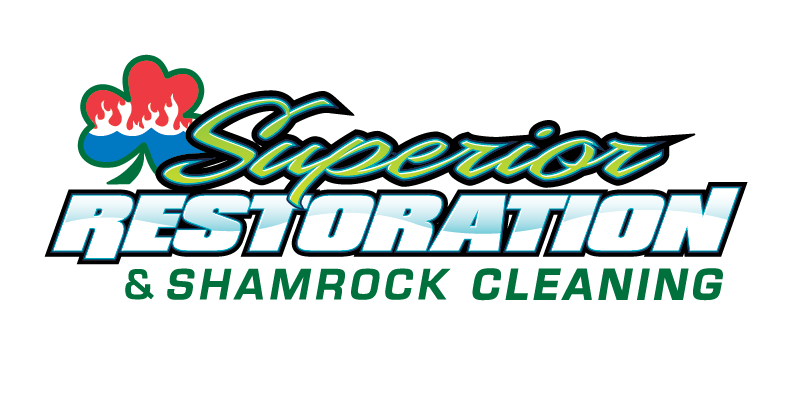 Eric Sprague and Larry Wilberton, owners of Shamrock Cleaning and Restoration, have one mission: To provide the most outstanding service experience ever.“Shamrock does things the right way. 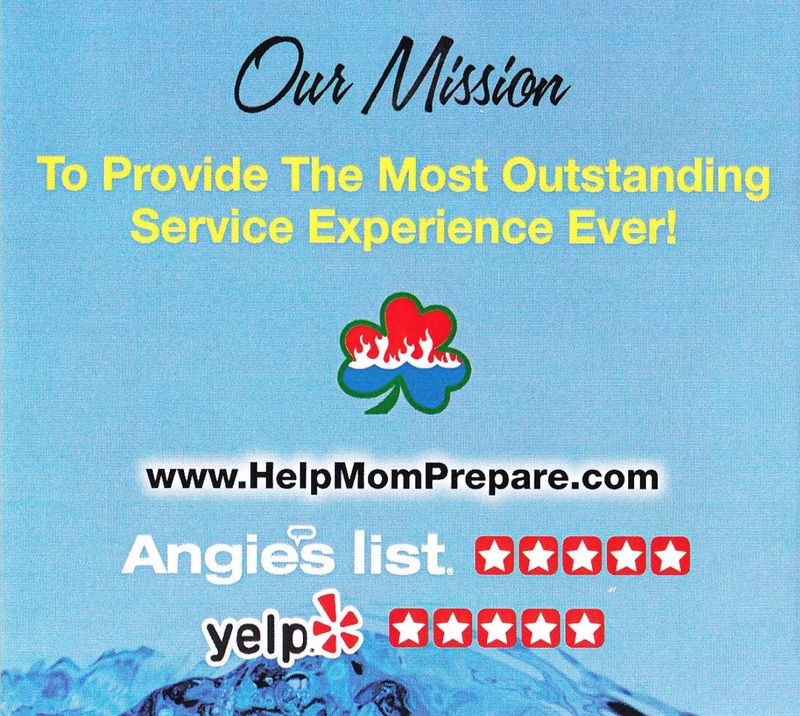 No short cuts.”Every thought and ever action at Shamrock relates to the mission. Shamrock does things the right way. No short cuts. Every employee hire, every equipment purchase, every choice of cleaning agents have one thing in common; they are meant to give you, the client, a batter service experience. 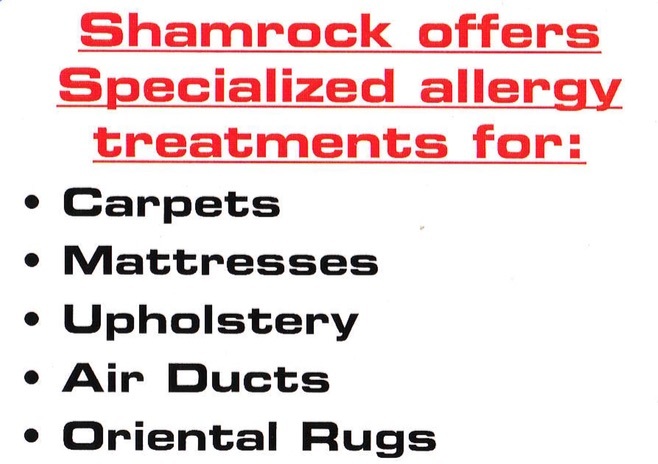 Shamrock knows it’s clients by name, treats them like family, and does what it says it’s going to do. Every time, or your money back. 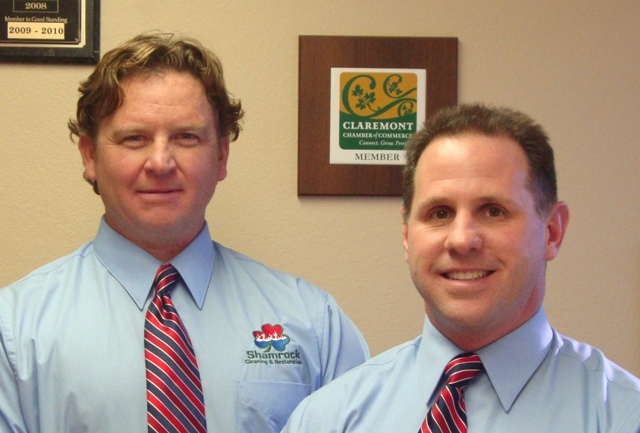 Please feel free to call anytime to learn how Shamrock can serve you.